Our Java Development Services Are High End To Benefit Your Business. Java development technology is today’s most predominant technology in the industry. It is the most secure and independent programming language. Java is free, simple, object-oriented, distributed, supports multithreading and offer multimedia and network support. It can be used to implement any kind of software, provides a wide array of opportunities, in desktop, web and mobile apps. Java always gets a new update which overcomes the drawbacks, breaking java code is a hard task. It is a backbone of the internet. Java offers higher cross-functionality and portability as programs written in one platform can run across desktops, mobiles, embedded systems. Java is more stable and predictable as it is mature language. Java has a large active user community and support as being highly popular at enterprise and network level. 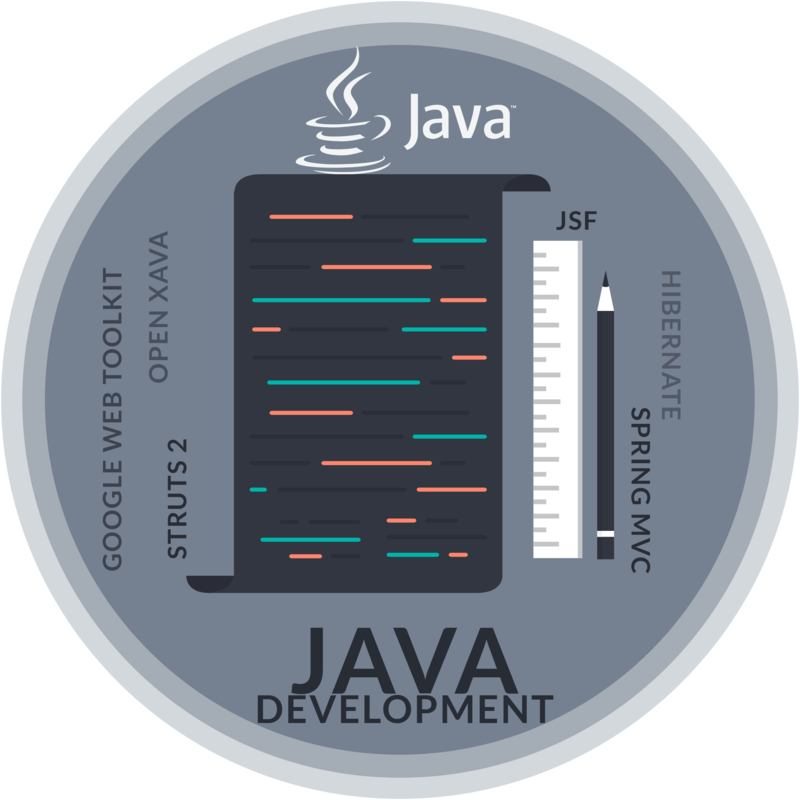 Java has powerful development tools like Eclipse SDK and NetBeans which have debugging capability and offer integrated development environment. Java programs are compiled independently of platform in bytecode language which allows the same program to run on any machine that has a JVM installed. Forward compatibility from one version to the next. Increasing language diversity, evidenced by compatibility of Java with Scala, Groovy, JRuby, and Clojure. SSTech System provides a full range of Java development services using the latest technology (spring, Liferay, struts, Groovy & Grails, EJB, Hibernate, Hadoop and Big data. We provide development services using Java, J2EE, and J2ME we take great care to ensure minimal time spent on development cycles without compromising on quality.We also offer services of migrating existing applications to Java-based applications. Our aim is to deliver scalable, custom design solutions for the clients and do extensive research on the latest that is available in the programming language.